The Company House Hotel, a completely renovated Christiansted boutique hotel has completed its multi-million dollar update of their 33 rooms, conference and meeting space, lobby and pool area. 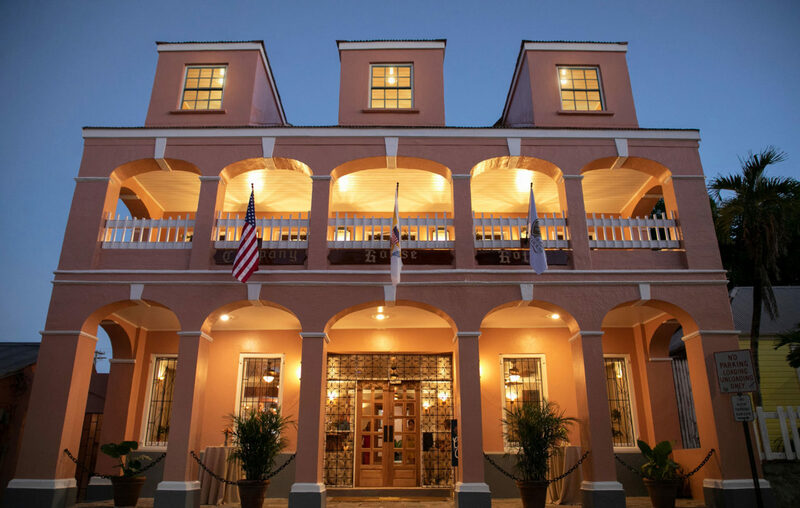 The renovations pay tribute to the building’s history including a mahogany bar, antique furniture and décor, and restoration of the building’s historic infrastructure while simultaneously offering new comforts and amenities to guests. The hotel offers 33 rooms, meeting spaces and a swimming pool, all of which have been fully renovated. Originally constructed prior to 1760, the Company House Hotel has been owned by 28 owners with diversified ethnic and racial backgrounds. It has been operated under different names over the years including The Danish Manor and Charthouse. The hotel was operational until January 2018 when VIGL Operations started renovations on the three-story property. The hotel’s history included stints as a boarding house in the 1800’s where professionals would could stay and promote their services including dentistry, watch and clock making, and daguerreotype. Historic newspaper ads are on display at the hotel. The hotel also was home to Tutto Bene, a popular Italian restaurant from 1991 until 2003. Guests are invited to unwind and connect at the new Duke’s Bar, managed by the successful 40 Strand Group which also owns 40 Strand, Toast, The Mill on the Boardwalk, and RAW bar. Guests will find examples of local culture through artwork by local artists, colonial style mahogany furniture, and historic images of the island and town. The hotel will be adding special experiences and packages that promote Christiansted town’s history and island culture. Starting in January 2019, the hotel will offer “In Good Company” – a series of gatherings for guests and interested parties featuring local business leaders. These conversational meet-ups allow business owners to share their tips and ideas to guests, community members, and entrepreneurs. Held the first Tuesday of each month, “In Good Company” meet-ups will include meet-ups with local entrepreneurs and business owners. Other events will include rum tastings and event proceeds will go to the St. Croix Community Foundation fund for historic preservation. For more information, visit www.hotelcompanyhouse.com, follow the hotel on social media or call 340-773-1377 or reservations. 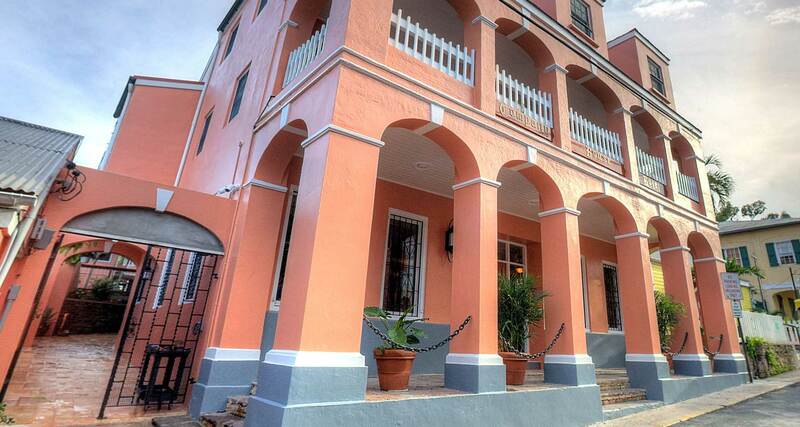 The newly renovated and restored Company House Hotel is an historic hotel with business traveler amenities located in the heart of downtown Christiansted, St. Croix, US Virgin Islands. This boutique hotel is 30 minutes from Henry E. Rohlsen airport and a short walk from the Christiansted Harbor seaplane base. With 33 completely renovated rooms, a new bar and lounge, a salt water filtration swimming pool featuring artworks by award-winning glassmaker Jan Mitchell, Company House hotel is Christiansted’s newest boutique hotel. A place where accents of modern whimsy sit naturally beside classic Caribbean history. Visit www.HotelCompanyHouse.com or call 340-773-1377 to make reservations or to request information. VIGL Operations, LLC is a privately held casino management company that currently operates the casinos at Caravelle Hotel & Casino in downtown Christiansted and horse race tracks on St. Thomas and St. Croix. With a commitment to revitalizing Christiansted’s downtown area, VIGL recently purchased and began renovations at two historic hotels located in downtown Christiansted, the King Christian and Company House hotels. The principal owners of VIGL have numerous other business in the US focused on the supply of casino and amusement games to customers throughout the mainland.